For years now, Pinterest has been suspending accounts, and some for no reason. 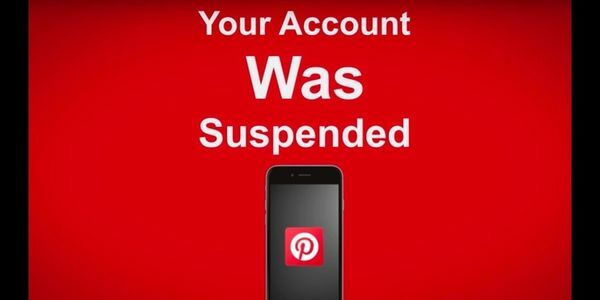 And rarely do users get the email explaining why the account was suspended Pinterest will claim to send. To make matters worse, often times you can&apos;t ever get the account back - even if you did nothing wrong an were just suspected of spam, which happens to users often. With this in mind, this fate of losing your entire account could befall anyone. It&apos;s time for this to stop. Pinterest is kicking off its own users, and not even giving us a chance to fix whatever wrong we committed! I demand, as should you, that we users get a fair and completely clear WARNING and a SET DATE before our accounts could be closed so that we can fix the problem ourselves! I just got suspended today, and you guessed it, no email, no explanation, and no chance to get my account back. The only thing I could do is go to Pinterest help and send a request, but this is still unfair. Pinterest, give us the solution to the problem instead of leaving us to fend for ourselves and kicking off users with no explanation.